SMSCOM have been present on the market since 2002, they made their footprint in the hydroponic industry producing innovative electronic equipment. With SMSCOM products you can be reassured that you are buying quality equipment, so much so they offer 5 years warranty on all controllers! 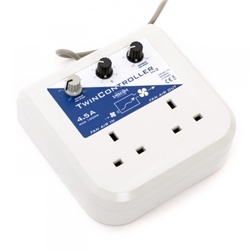 The SMSCOM 4.5amp Twin Fan Speed Controller MK2 allows almost total control of the speed of two fans and helps maintain an optimum temperature in your room or tent. 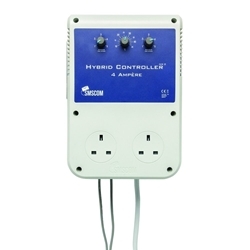 The SMSCOM 6.5 Single Fan Speed Controller is an effective way to regulate the speed of one fan. 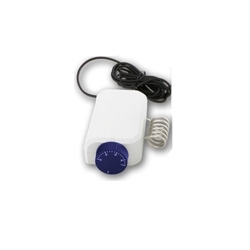 The SMSCOM Thermostat connects to the 6.5A Single Fan Speed Controller allowing you to control the temperature in your grow room.